The wife of the leader of the Indigenous People Of Biafra Nnamdi Kanu has arrived Nigeria from the United Kingdom. 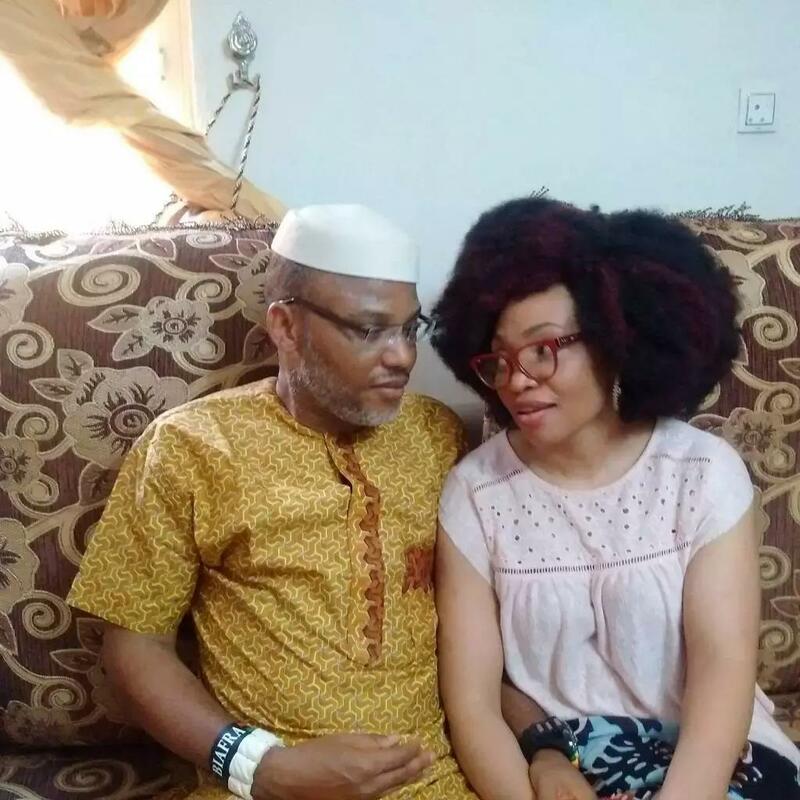 The wife of the leader of the Indigenous People of Biafra (IPOB) Nnamdi Kanu has arrived Nigeria - Uchechi Okwu-Kanu arrived Nigeria on Friday, May 5, from the United Kingdom - She is currently in Isiama Afara, Umuahia in Abia state, her husband's hometown The wife of the leader of the Indigenous People Of Biafra Nnamdi Kanu has arrived Nigeria from the United Kingdom. Uchechi Okwu Kanu, who has been missing her beloved husband since he left her with an unborn child in the United Kingdom on October 2015 to Nigeria said she is elated about her husband's release thus her return to the country. 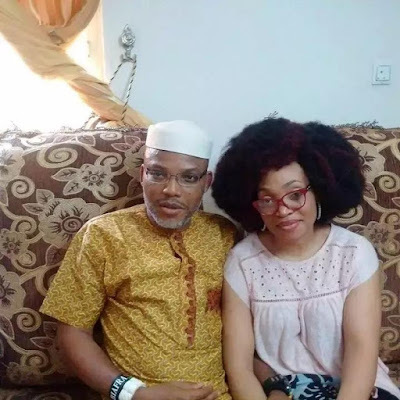 READ THIS: Biafra: Kanu's Family Host Biafran Elders Forum, Says "Our Son Will Never Abandon Biafra Restoration Project No Matter What"
Uchechi Okwu-Kanu arrived Nigeria on Friday, May 5. She said: "Actually, I came in yesterday. I feel elated, I am highly, highly elated." She is currently in Isiama Afara, Umuahia in Abia state, her husband's hometown. 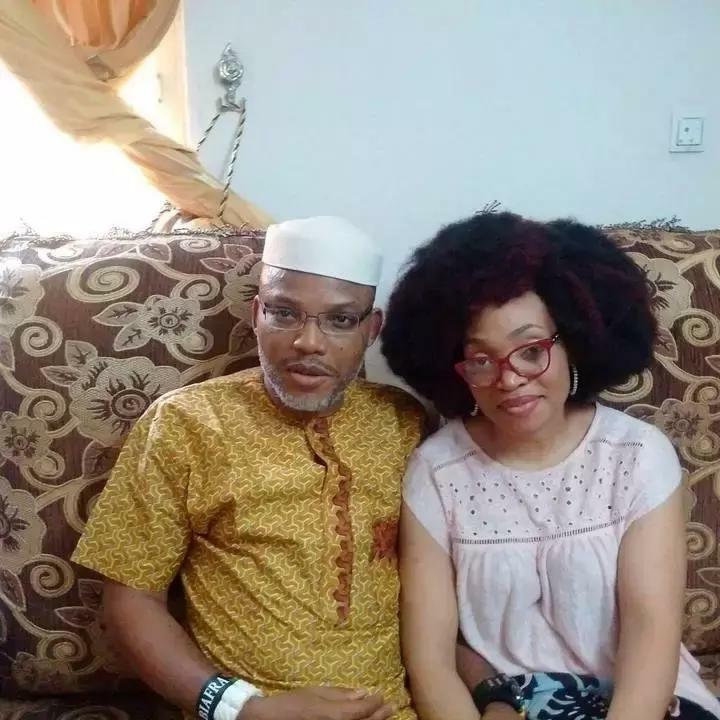 Recall that Kanu was released from Kuje Prison in Abuja after perfecting his bail conditions from Justice Binta Nyako of the Federal High Court Abuja which is the most stringent in the history of Nigeria and anywhere in the world, on Tuesday, April 25, 2017. After his release, Kanu visited many prominent Nigerians including the deputy senate president Ike Ekweremadu and the former minister of aviation Femi Fani-Kayode. Kanu left Nigeria's capital city, Abuja on Thursday, May 4. He visited the Cenotaph in Enugu where he made solemn prayers to Chukwuabiama before heading to Isiama Afara his hometown where he met with his parents and other family members.